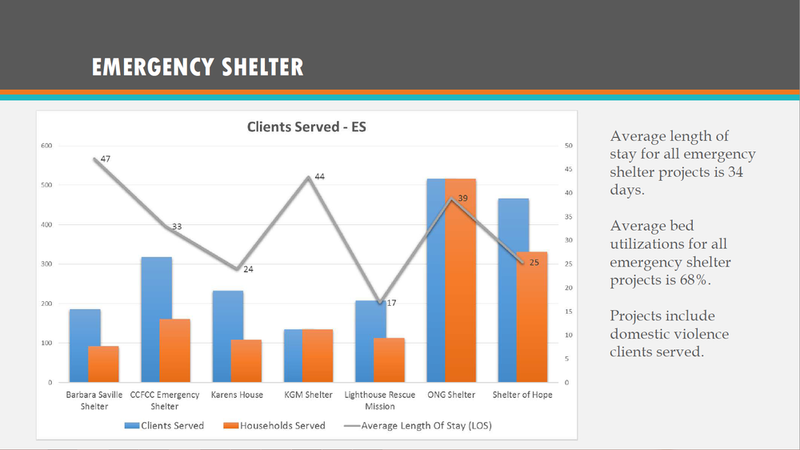 A Homeless Management Information System (HMIS) is a software application designed to record and store client-level information on the characteristics and service needs of homeless persons. Typically, an HMIS is a web-based software application that homeless assistance providers use to coordinate care, manage their operations, and better serve their clients. 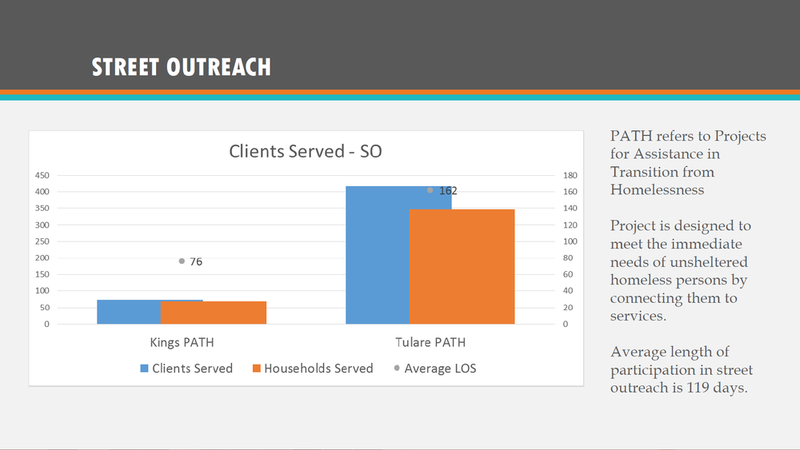 An HMIS knits together homeless assistance providers within a community and creates a more coordinated and effective housing and service delivery system. 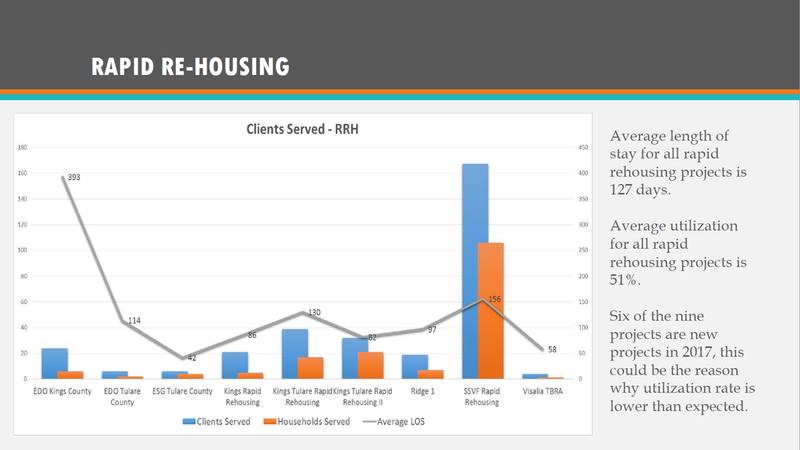 The U.S. Department of Housing and Urban Development (HUD) and other planners and policy makers and the federal, state and local levels use aggregate HMIS data to obtain better information about the extent and nature of homelessness over time. Specifically, an HMIS can be used to produce an unduplicated count of homeless persons, understand patterns of service use, and measure the effectiveness of homeless programs. Programs that receive other sources of funding are not required to participate in HMIS, but are strongly encouraged to do so to contribute to a better understanding of homelessness in our community. System and Program Level Indicator Reports are published quarterly and furnished to the HMIS Steering Committee, Continuum of Care Board of Directors, and the general membership. The System and Program Level Indicator Report evaluates system and performance level performance using the Continuum’s established performance standards. The report includes programs funded through the Continuum of Care Program, Emergency Solutions Grant, Supportive Services for Veteran Families, as well as programs that voluntarily participate in the HMIS. 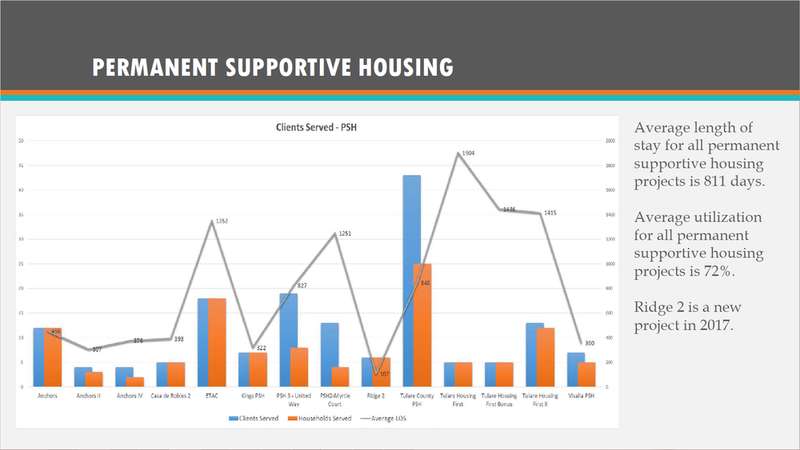 By setting performance standards that measure bed utilization, length of stay, income, housing outcomes,and recidivism, the Continuum is able to monitor the success of each provider and the system as a whole. 56% of persons age 18 and older will maintain or increase their total income (from all sources) as of the end of the operating year or at program exit. 56% of persons age 18 and older will increase their total income (from all sources) as of the end of the operating year or at program exit. 24% of persons age 18 through 61 will maintain or increase their earned income as of the end of the operating year or at program exit. 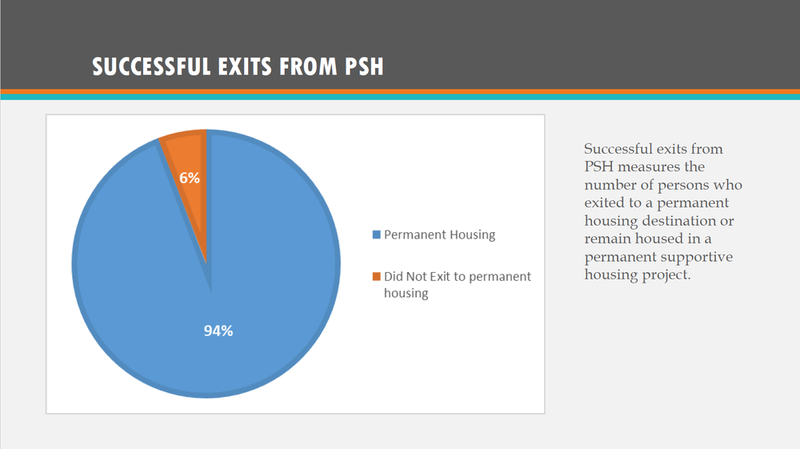 Transitional Housing 24% of persons age 18 through 61 will increase their earned income as of the end of the operating year or at program exit.